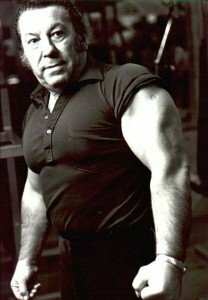 North Woodmere resident Dan Lurie, best known for his bodybuilding feats and relationships with many celebrities died on Nov. 6. He was 90. A competitive bodybuilder whose contemporary and rival was the famous Joe Weider, Lurie had his own business, the Dan Lurie Barbell Company until 1988. Dan and Weider used to work together the beginning of their careers but after a disagreement between the two, they both went their separate ways. Lurie also claims that he was the first to meet Arnold Schwarzenegger when he arrived in the United States. On Arnold: I don’t know if you heard about this in New Zealand, but Arnold’s calves were very poor when he first began competing, and lost to Frank Zane in his first contest in America. Then all of a sudden his calves went from 17 to over 19 inches. Today he must have lost a lot of weight but his calves are the same size. If you drop a lot of bodyweight your whole body shrinks in proportion. Any doctor examining could tell you if he still has the transplants in his calves. They didn’t want to say that about him. Before you say that you need 100 percent truth. I can only say it was rumored for many many years, but I never printed it. 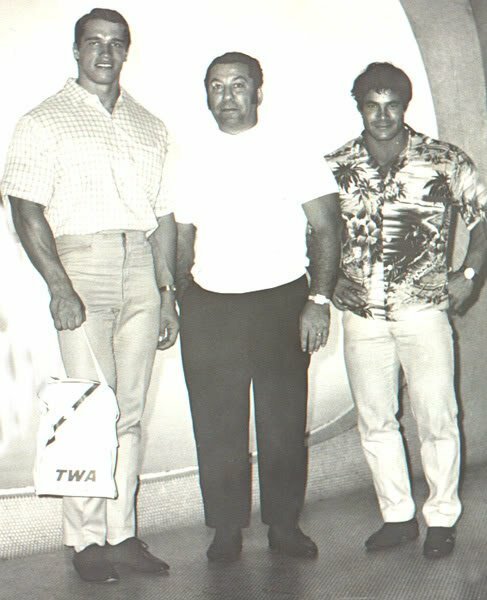 By the way, when Arnold came to this country in 1968, my wife and I were the ones who greeted him and Franco Columbo at the airport. It was good except he did certain things I didn’t like. He used to fondle the girls in the restaurant. I publicized him and helped make him famous and he ended up suing me, period. The whole thing was, he needed money in those days and Joe Weider told him that in America you can sue people and settle, and make a lot of money. On Joe Weider: When we started in business maybe we made about $ 5,000 dollars in each year. That was gross. By the time we got through maybe we made one thousand dollars or five hundred dollars each for the year, which was nothing. But when we started to go over $ 100,000 dollars he didn’t want to share the profits with me. So he just cut my name out of the ads in the magazines and put his own name in. He was established already so he didn’t need me. He is a very unscrupulous guy. No loyalty at all. There are a lot of things I could tell you about him but it will have to wait until my new book is out. All I can say is he was an extremely hard worker, but very ruthless in business. He would put a knife in your back. He would use people, and throw them out. There were lawsuits. He did a lot of bad things. But that was him. That was his character. I introduced him to his first wife.Years ago I heard he was in hospital having a hernia operation so I called him and we spoke for an hour or so. We spoke about the good old days when we were kids. You tend to forget about these things. We went our own ways. I was successful as far as I know, but I always felt I was a fly and he was an elephant. I just wanted to make a living. On Lou Ferrigno: Yes, he came to me at 16 years of age. The first thing I asked him was “how far do you want to go in bodybuilding”. He said “Mr. America? I don’t want to be Mr. America. That to me was shocking. So I put him on the cover of my magazine and I issued a challenge to Arnold. I said in three years this skinny kid of 6.5 and 185 lbs was going to give him some competition. And he did. And I kept showing the improvements he was making over the years. I had Lou for about six or seven years. He had no contract with me. It was more like a friendship. Weider offered him a $50,000 contract for five years. He did that with Arnold – paid him a big amount over a number of years. Lou switched the night I had Steve Reeves at my show and his father was upset with me because the year before he lost out to Bill Grant who represented Weider. Lou lost out because he took some sort of water pills. The night before he looked unbeatable and when he came the next day I couldn’t believe the change. I don’t know what the heck he was doing. He lost all his definition. What actual involvement did you have in Lou’s training? I would correct his posing all the time. I even paid his expenses to go to his first AAU Mr. America show. I paid for him to go to his first NABBA Universe contest in London. I did a lot of things for him but we didn’t have any kind of written contact – it was like a father and son deal. I would meet Lou at least two times a week, especially on Fridays. He would come over to my office around six o’clock and leave around eight or nine at night. We would go through posing and discuss training. What got his father upset with me was when Bill Grant beat out Lou in 1972 at my WBBG Pro Mr. America. Although Bill Grant represented Weider, I didn’t care. I just wanted the best man to win. I actually wanted Lou to win. They had 18 or 19 judges. The night before, Lou looked unbeatable but he took some pills on the advice of his friends and I couldn’t believe how the definition was gone in one night. He was lucky he even placed second. His father was angry and said “why didn’t you make sure your number one boy won”. But I run an honest contest and the best man has to win, with the judges deciding this. The next year Lou never showed up at my show. He entered the Weider show and I had my Steve Reeves show where I had to put seats on the stage to fit all the people in. But you did have a pretty good friendship with Lou over the years you were with him. Yes. Lou’s friend Tony Badal brought him to me. In fact Lou was supposed to be the best man at Tony’s wedding. Lou never showed up. I was there. He never told Tony why he didn’t show up. What kind training program did you have Lou on? I always told him to use a lighter weight. He didn’t agree with me. He couldn’t do the endurance that I used to do. I would take a lighter weight and do maybe five or 10 sets of 15. That was too much for him. He had to take a heavier weight and do three or four sets. That was not my way, but whatever he did it worked for him. You know what his answer was? I said, “Matty you are crazy.” Who would want their son to die just so they could win a lousy muscle contest? It’s nothing. But he didn’t want that. He wasn’t interested in money. He just wanted to be popular and he almost succeeded in Africa when he came third to Arnold in the Olympia. 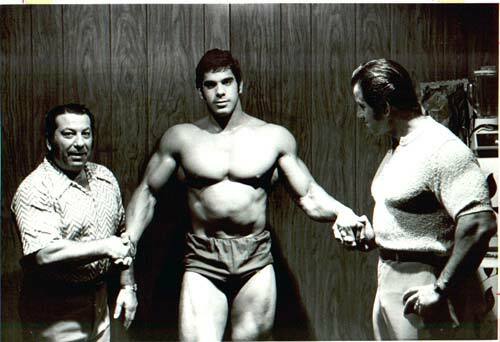 My friend Reg Park ran the show. Reg came to some of my shows to guest pose.